Just ahead of the midterm elections, MSNBC, the station dedicated to pushing the Obama agenda, is falling far behind in the ratings. 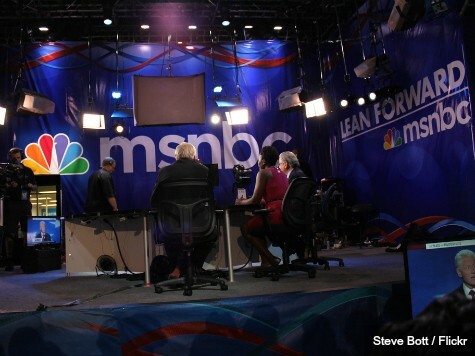 In 2010 MSNBC deployed the slogan “Lean Forward” to describe in concise terms what its liberal agenda would mean to viewers. But by 2014 that slogan seems overly optimistic when compared to the liberal network’s sliding ratings. For years MSNBC had lingered in third place behind cable news leader Fox News and long-time news network CNN. But during 2012 and 2013 MSNBC frequently jumped ahead of CNN in the cable ratings game. Today it seems that frequent surging is a thing of the past. Even the liberal network’s star, Rachel Maddow, has just posted her worst ratings ever. None of the other network’s shows are doing any better. It is well known in the industry that MSNBC frequently loses ratings ground when large national or international stories break. It seems that even fans of the liberal network understand that breaking news is not MSNBC’s forte; partisanship is. With its fall from frequent ratings success, that constant sameness may be taking its toll even among fans.